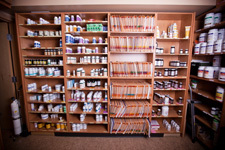 The Doctors at the Centre for Natural Medicine have extensive training in the use of botanical (herbal) medicine. Importantly, the doctors are trained to recognize drug/botanical interactions. Botanical medicine can be used in a variety of forms ranging from standardized extracts to tinctures. Please refer to Botanical (Herbal) Medicine for more information.